Did Failure Occur Because of Medial Column Instability That Was Not Recognized, or Did It Develop After Surgery? 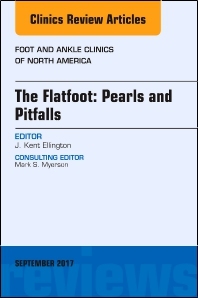 This issue of Foot and Ankle Clinics, guest edited by Dr. Kent Ellington, focuses on The Flatfoot and will include articles on the following topic areas: Recurrent deformity due to Deltoid/Spring Failure; Severe stage 2 - fuse or reconstruct? ; Undercorrected reconstruction; Overcorrected reconstruction; What to do with the spring ligament; Calcaneal osteotomies: Pearls and Pitfalls; Evans osteotomy complications; NC sag in the flatfoot, and more!